In the late Nineties I was writing programmes for the BBC and went to many shows. There were three particularly good one making the French Chanson ever more popular. 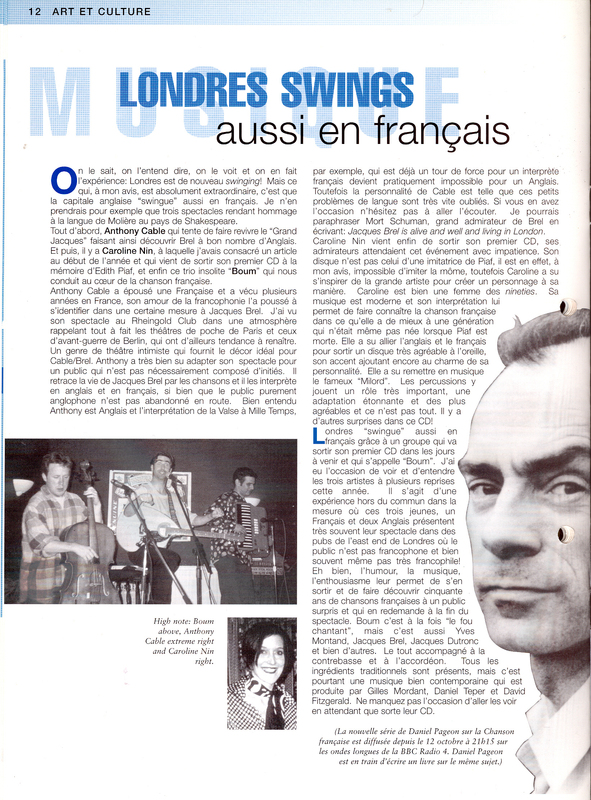 I wrote an article for the Alliance Française Magazine.